After Deworming – What to Expect? 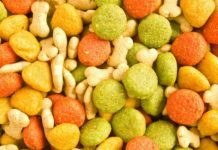 There are many unpleasant things you are forced to deal with as a dog owner, and your favorite fur pup getting worms or intestinal parasites is one of them. You just cringed, didn’t you? No one wants to deal with these creepy crawlers, and it is highly unpleasant to think that your favorite fur friend carries them around inside their body. Worm infestations are common in dogs, and a natural part of owning dogs, and there are many effective treatments to turn to if (or more likely – when) your fur bestie gets them. Everyone talks about what to do if a dog gets worms, however, but what can you expect once your pooch has received his or her treatment? When is it over? One of the easiest ways to see and confirm that your dog has worms is by looking at its stool. It may sound gross, but it is a good idea to overcome that feeling and to have a peek at your pup’s poo every time he or she does a number two. Do this even when you don’t suspect worms, just to make sure that everything looks the way that it should. Remember, dogs can’t talk, and they can’t tell you if they are feeling queasy or off, but a dog’s stool says a lot about their general health and wellbeing. Also, this habit can help you spot worms right away so that you can start de-worming treatment before the condition advances. Worms, however, are sneaky, and they don’t always show up in the dog’s stool. Just because you cannot see them, it is not a guarantee for them not being there. Another sign of a dog having worms is unexplained weight loss. When a dog has worms, the worms greedily “steel” nutrition from its host, so that even if your pup appears to be eating normally – he or she is not getting as many nutrients as would normally be the case. If your dog seems to be slimming down for no apparent reason (no change in food, appetite or activity level), then it could be worth booking a trip to the vet to see what the reason is. 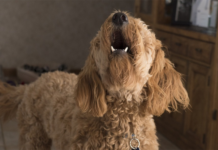 Other signs are vomiting, lethargy, scooting across the floor (when your dog is rubbing its behind on the floor or on carpets), appetite changes, a dull and dry coat, the typical pot-belly or – and especially when dealing with heartworms – coughing. When suspecting that your pup may have worms, it is important to visit a vet to establish what type of worm you are dealing with. If you can – bring a stool sample in for analysis. This is mainly because it can be dangerous to experiment with dewormers unless you know what you are trying to treat. When it comes to your dog’s health, the first step should always be a visit to the vet’s office. 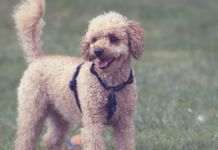 They can help you establish what type of worm your pup has, or if the symptoms are caused by something else, and they can recommend a suitable treatment. Some of the most effective worm medications require a prescription, which is yet another good reason for why contacting your trusted veterinarian is a must. Most dewormers are given orally and will usually be flavored chew treats to make administration easy and stress-free. Just feed it to your pup the way you would any other treat, but double check so that they ate it all, without leaving any pieces or crumbs behind. 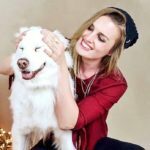 Not taking the full dosage or forgetting a daily dosage could make the treatment ineffective and giving a bigger dosage than advised can put your pup in danger. Depending on the medication used, you might have to repeat the treatment over the course of a few days, or it could be enough with only one pill, but this is something your veterinarian will explain to you once having prescribed the medication. Leave the decision for which wormer to use to your veterinarian, rather than to start experimenting on your own. Substance examples are ivermectin, fenbendazole, and milbemycin, where some are given as chews, others injected and some – like selamectin – are topical treatments that are applied directly onto the skin. 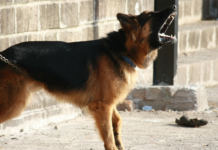 Which one you should use depends on what types of worms your dog is infested with. Once you get to the stage of post-treatment, there are a few things to expect. It is normal for the dog to seem unusually tired and drowsy after receiving worm medication, and in most cases, there is no need to worry. 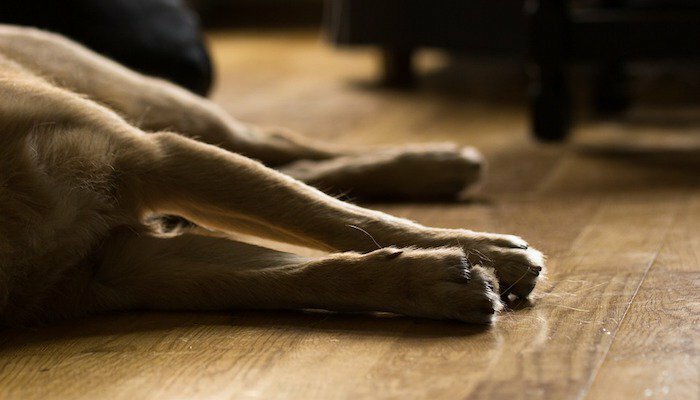 You should let your pups rest as much as they seem to need and avoid any challenging activities for a day or two. Regular walks are okay, but only if your dog seems up for it. You might also notice a lack of appetite and gastronomical upset, which is also to be considered normal. If it persists for several days, however, or if you notice other signs that you find concerning – do not hesitate to contact your veterinarian. It is always better to be safe than sorry. Some worm medications dissolve the worms altogether, which means there won’t be any sign of dead ones in your pup’s stool. Others only kill them, and they might then be visible in stool and vomit. Keep a close eye on it to make sure that what is coming out are dead worms, because if they are still alive and crawling, it is possible that your pooch needs another round of medication. One treatment is not always enough, so don’t be discouraged if it does not seem to have worked the first time, and just head back to your vet for round number two. It cannot be stretched enough how important it is to consult a veterinarian when in doubt and when unsure of how to proceed, or when having questions or concerns regarding your pup’s post-treatment symptoms and behaviors. 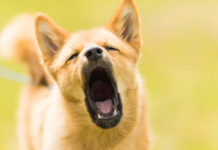 Expect some side effects after deworming your dog and use common sense for what should be considered normal, and what shouldn’t. Keep the vet’s phone number on the fridge, in your phone or anywhere where you can easily access it, and call if anything seems off.